couples and secrecy and money | Couples-Counseling Connection — Marriage & Family (McLean, Virginia). Couples and Money — Secretcy, No; Collaboration, Yes. Money and couples is a topic often reflect significant stress. This article argues that rather secretiveness a collaborative model should be adopted by a couple. I agree. But often this is easier said then done. Clearly a couple should have open communications concerning all issues concerning money. 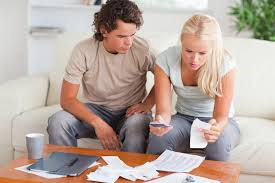 Couples counseling can help with a marriage therapist and a financial counselor. “The Extramarital Bank Account.” Washington Post (Feb. 15, 2015).